Lenzerheide is a swiss ski resort with world-known name. It regularly hosts the final ski race of the FIS Alpine World Cup for both men and women. The race takes place at the end of March but the snow conditions are usually very good and moreover the weather is usually sunny too. 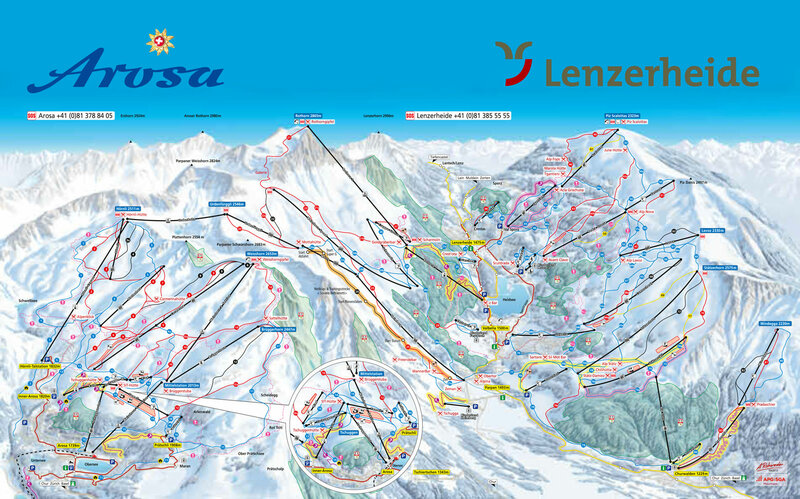 Lately Lenzerheide built a ski connection with its over-the-mountain neighbour Arosa, a great family ski area. This brought another 70km of ski slopes to its 155km and created a richer ski offer included in common skipass. Recently opened (2013) Mountain resort Priva Alpine Lodge offers accommodation in apartments and cottages in the new world-famous resort of Lenzerheide. City center and the cable car just a few minutes walk. Tgantieni Mountain Hotel is located directly on the slopes of the ski resort Lenzerheide, about 5 minutes by car to the center. During the summer of 2014 has been renovated and E completed were several rooms, public spaces and a sauna area. The hotel is a beautiful view of the valley in the center of Lenzerheide. The apartments are located in the Schweizerhof Hotel Schweizerhof complex on the outskirts of the Swiss resort Lenzerheide, a regular scene of the final World Cup alpine skiing. Food, bakery, bank, post office and main bus station are within a few minutes walk. Family run resort Valbella Inn is located in the resort of Lenzerheide Valbella in the lake, which is a natural ice rink in winter. It consists of a main and a newly opened (2013) ancillary buildings with wellness. Under Valbella post office, kiosk, groceries and restaurants. Hotel Waldhaus built in rustic style is located at Lake Heid in the resort of Lenzerheide, Valbella portion at an altitude of 1500 m central location in the valley. More possibilities offered by the ski resorts in Switzerland - Skiing Switzerland.